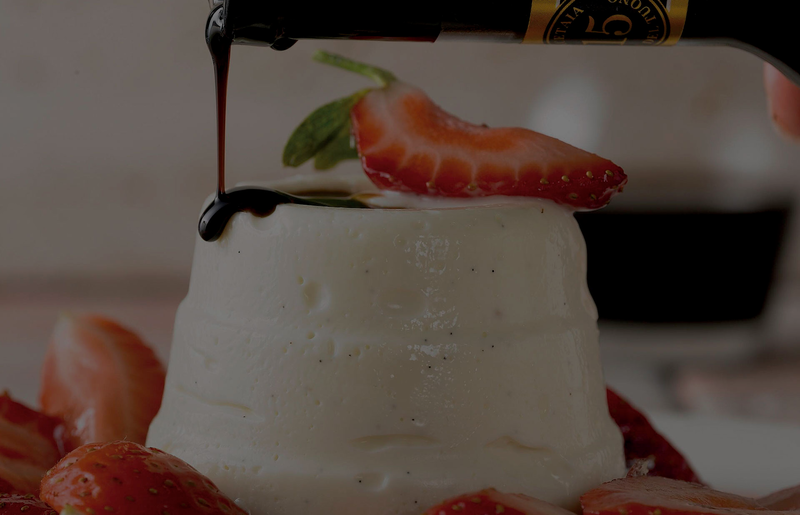 Our mission is to create high quality Balsamic Vinegars of Modena, and Balsamic Specialties. The strong passion for Innovation, with great respect for our Traditions, has always characterized our family. Everything here smells of Balsamic. We still produce our Balsamic in the traditional way, handed down from father to son, with absolutely natural processes and respect of the millennial traditions of our territory. We work in harmony with nature, cultivating our vineyards and following the rhythm of the seasons. Our Innovations always find their origins in our traditions and come from our passion and research, to become the Classics of the future. Our Balsamic Vinegars of Modena and Condiments are completely natural products, without preservatives, thickeners or colorings, obtained starting from 100% Italian raw materials. Grape must and vinegar have always been the only two ingredients of our Balsamic Vinegars of Modena and Condiments. Today, as in the past, we are committed to maintaining a very high quality in our products. We do it for you.